Challenging market conditions continued to hit office and retail rents in the fourth quarter, although there are signs pointing to a brighter outlook for some landlords. Challenging market conditions continued to hitoffice and retail rentsin the fourth quarter, although there are signs pointing to a brighter outlook for some landlords. Office rentsfell by 1.8 per cent from the third quarter to the fourth quarter last year, a far sharper fall than the 1.1 per cent from the second to the third, according to Urban Redevelopment Authority (URA) data yesterday. That took the drop in rents to 8.2 per cent for the full year, markedly steeper than the 6.5 per cent decline in 2015. "With continual supply pressure in 2017, we reckon rents will continue to soften at least for the first half," noted Dr Chua Yang Liang, JLL's head of research for South- east Asia. But new office buildings such as Guoco Tower and the upcoming Marina One have enjoyed good take- up over the past year - prompting talk of better prospects ahead. "Large deals announced in January, such as Facebook taking up prime space at Marina One and co-working operator Distrii leasing inRepublic Plaza, further point to signs that the office leasing market is stabilising," Cushman & Wakefield research director Christine Li said. The completion ofDuo TowerinBugislast month helped push office vacancy rates to a four-year high at 11.1 per cent, up from 10.4 per cent at the end of the third quarter. Prices of office space, meanwhile, fell by 0.6 per cent from the third to the fourth quarter, taking the full-year drop to 2.8 per cent. The retail sector fared slightly better, amid challenges posed by e-commerce and uncertain economic prospects. Rents eased 1.2 per cent from the third to the fourth quarter - better than the 1.5 per cent drop from the second to the third. The islandwide vacancy rate forretail spaceimproved to 7.5 per cent at the end of last month, snapping four straight quarters of rising vacancies. "The uplift in occupancy was probably supported by the continued opening of flagship stores, along with gyms and large food and beverage clusters," said Mr Desmond Sim, head of CBRE Research for Singapore and South-east Asia. Retail rents fell by 8.3 per cent last year, and JLL expects them to remain weak, amid the 169,000 sq m of retail space which will become available this year. Although conditions in the retail sector will remain tough, there have been some changes that bode well for the future. "We are encouraged by the introduction of new retail brands and concepts through 2016... 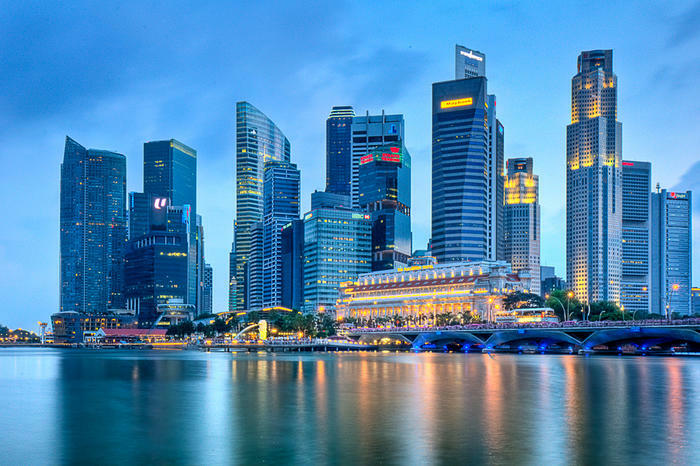 This should help to add more colour and vibrancy to Singapore's cookie- cutter retail scene," noted Ms Tricia Song, head of research at Colliers International, Singapore.